The Armenian Genocide, also known as the Ottoman Destruction of Christian minorities, is considered one of the first great tragedies of the 20thcentury. It also happens to be one of the most controversial events in the in last century because of Turkey’s vehement disapproval of the application of the term genocide despite the evidence. 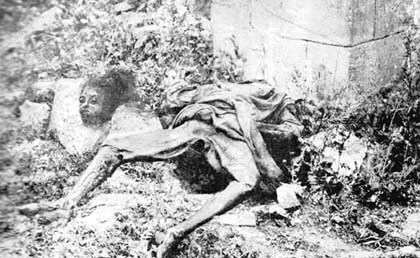 There are currently many photos of this genocide that can be found online and in history books though the Turkish government tends to dismiss them and state that the tragedy was not as bad as it is generally said to be. 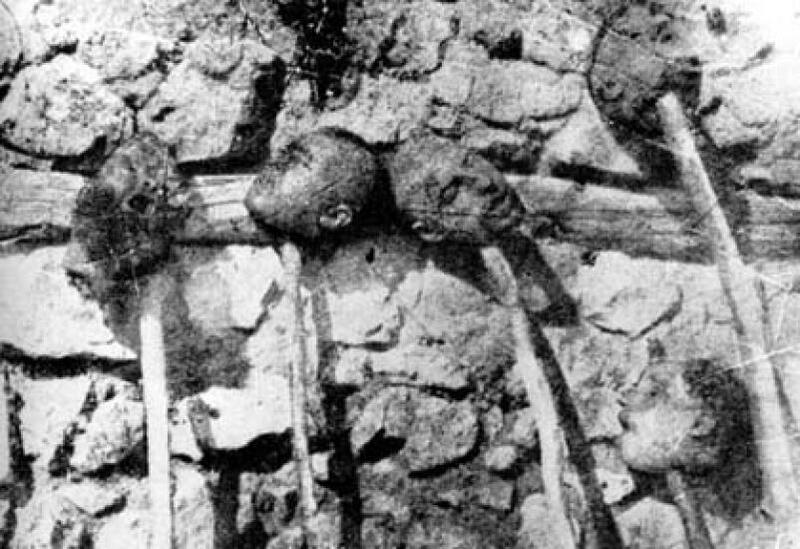 Regardless, these images tend to be incredibly graphic and show us the terrible things the Christian minorities, especially Armenians, went through. One thing in particular that stands out in these photos is the number of them that picture Turks posing with skulls or heads of their victims or even just the pictures of the disembodied heads themselves. 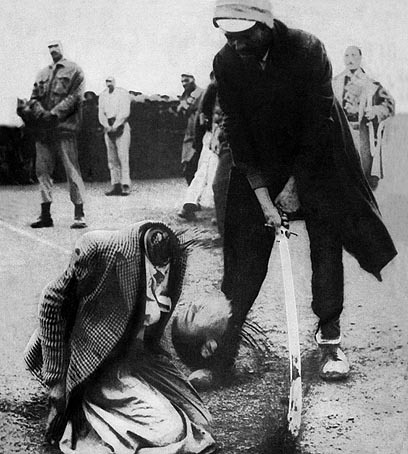 The beheading of someone is a particularly symbolic act and what it means in the context of a genocide is very intriguing. Assyrians took heads and sculpted them in piles on the palace walls. In the eighteenth century A.D. Afghan warriors fixed enemy heads to their tents.”[ii] Throughout Europe, however, beheading became a demonstration of the King’s power over his subjects. This use of beheading was unique in that it involved a third party, the executioner, who carried out the king’s justice. In addition, while both views on beheading involve the showing of power, to whom they are showing off too is very different. A warrior displays the heads of his victims to rival warriors, or in other words, his equals. European monarchs instead displayed heads to show off his power to his subjects, or his inferiors. [ii] In both cases however, the heads are now the property of the beheader, essentially making the dead an object. other kingdoms were quickly followed by the decapitation of the enemy king and the showing off of the head. The most famous example of this behavior is the beheading of the Byzantine emperor. With the fall of the Constantinople, the ottoman Sultan had the Byzantine emperor’s head cut off and then sent on a tour throughout the Empire in a display of power and pride. 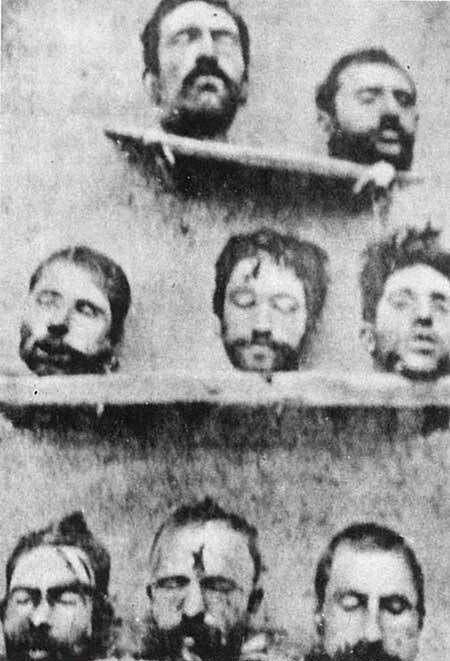 In another instance, over 2,000 Hungarian prisoners were beheaded and had their heads put on pikes for display. 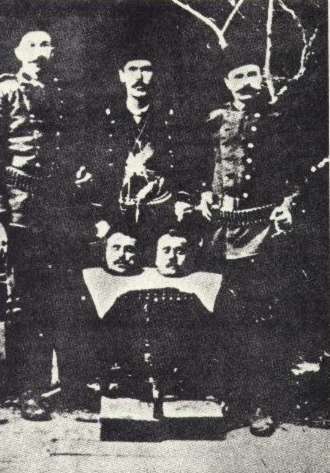 [iii] It is significant to point out that unlike in medieval Europe, decapitation was not the preferred method of execution for nobility and royalty in the Ottoman Empire and that the Ottoman upper class were commonly executed by strangulation, though this did not stop the Sultan from displaying the heads after death. “The focal point [of the sultan’s court], however, was a pair of “example stones” positioned directly outside the Central Gate, which led to the Second Court. These “stones” were actually marble pillars on which were placed the severed heads of notables who had somehow offended the sultan, stuffed with cotton if they had once been viziers or with straw if they had been lesser men.” [iv] The Ottoman empire, and by extension the Turkish people, have had a long history with the use of severed heads as trophies and displays of power. The use of decapitation during the Ottoman genocide of Christian minorities is interesting and raises some questions. The immediate question that pops up is “why?” Well, we obviously cannot ask the ones who carried out the beheadings (since we do not know that information) but we can make speculations about the reasons using what we know about the symbolism of decapitation. For one, in some photos we can find Turkish (and sometimes German!) 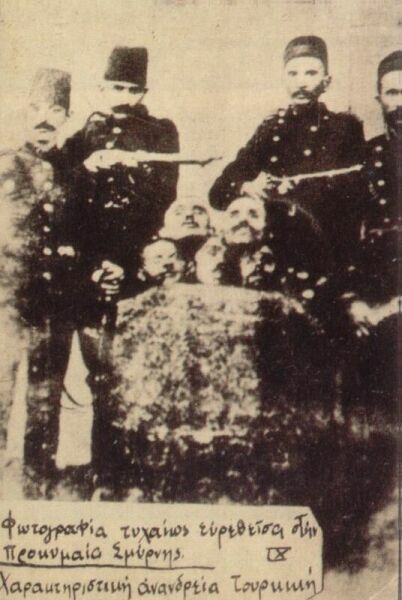 officers posing with either disembodied heads or just plain skulls of Armenians and other Christian minorities. This is a clear case of using heads to display power and ownership of another person. Much like holding someone’s head into the air or placing it on the pike, the photographs themselves are just another means of displaying the head and thus showing off the beheaders’ power over lesser people. These photos were taken by the perpetrators on purpose most likely for the reason above. However, there is also the possibility of pride being a factor in the display of these heads in photos. The Armenians were seen as collaborators for the Russians and as a result, many were suspected of sabotage and terrorism. Many of these officers may have been posing with the heads of the “bad guys” they caught much like how a hunter may pose with the animal he killed. This reasoning helps us understand why something so identifiable as a human head is displayed since genocidal acts usually revolve around dehumanizing the victims. By portraying the heads as trophies and discarding the body, the Turks dehumanize the Armenians and other Christians. The head is the source of someone’s identity and by taking the head as a trophy one gains ownership of the person, turning them into an object. Some of these pictures however, do not seem to be taken by the perpetrators. 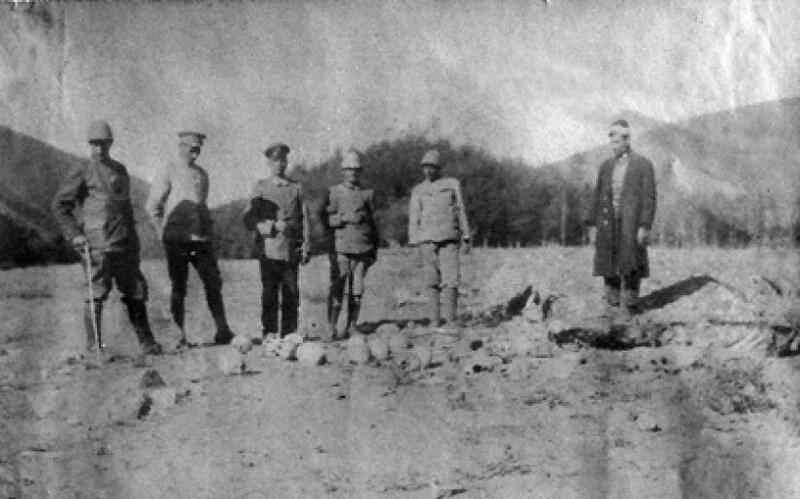 These other photos include only the heads of the victims; showing the aftermath of killings and decapitations. Unfortunately we do not know under what circumstances these killings occurred or by whom specifically. In fig. 2 we see a number of heads which were clearly used for display. These heads were purposefully placed on pikes to be either paraded around or placed in a significant spot. In contrast, fig. 1 shows a decapitated girl whose body and head has simply been left there. The beheading in this instance seems to be more religious based as there no obvious attempt at displaying the head. There is no sense of pride or display of power, the act of decapitation itself is the significant part, not the message to others. Along that line of thought, something else to consider about fig. 1 is the part that cruelty plays in the decapitation. The woman in the picture was supposedly brutally attacked and raped beforehand. The beheading could just be an extension of this cruelty and extreme use of violence. The Ottoman genocide of Christian minorities is one of the greatest tragedies of the 20th century and is still one of its most controversial. The Turkish government along with a large portion of the Turkish population deny the event was a genocide. Many will admit that it was a terrible event and that a lot of Christians, particularly Armenians, died but they will not go as far as calling the event a genocide. This may seem surprising since there is so much photographic evidence of a genocide available to us. However, as I have found, many dispute the stories behind the photos or the pretext in which they were taken. Some websites put up their own explanation for how these photos came about. These explanations, however, are hard to believe and tend to have no evidence whatsoever to back them up. For example, in the photo I used at the beginning, one website said that the Bosnians were killed and decapitated by Serbs. The locally stationed troops were then called in to stop the Serbs and upon capturing them, the officers decided to have their picture taken with the heads and it was all a big misunderstanding. Not only does this story seem a little far-fetched, but the person cited no sources and gave no evidence. I am writing this because I find it interesting how someone can be so in denial that they can just ignore the meaning and context the display of a human head, a powerful symbolic gesture. These photos were taken for a reason, as a source of pride or a show of power, and to twist that reason because you do not like what the evidence has to say seems absurd. Each of these photos tells a story and gives us a look into the mindset of the perpetrators of the Armenian genocide. [i] Jones, Adam. Genocide: A Comprehensive Introduction. Second. New York : Routledge, 2006. 149-184. [ii] Janes, Regina. 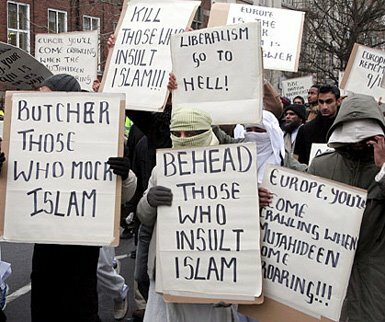 “Beheadings.” Representations. 35.Special Issue (1991): 21-51. Print.